Your first experience with Careaga Plastic Surgery Center begins with our professional and courteous staff. Rest assured that our staff can answer all of your questions and help you understand the breast, body and facial enhancement services and surgical procedures we offer. We offer flexible and extended office hours to accommodate your schedule. Prior to your procedure and/or surgery, you will be given an educational package with detailed explanations of the procedure/surgery, anesthesia (if needed) and after care. Your informed consent is important to us. 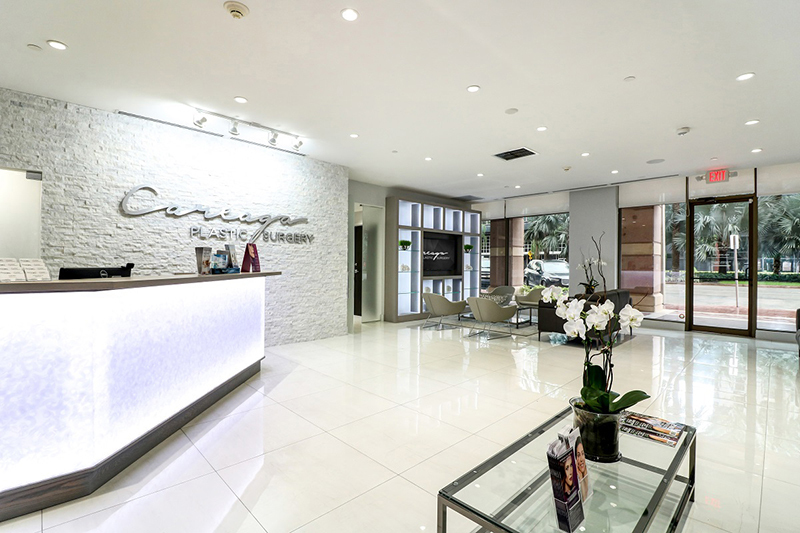 At Careaga Plastic Surgery Center we continually strive for a standard of excellence in personalized care that sets us apart from other aesthetic (plastic) surgery practices. Dr. Careaga’s high standards enable us to provide the quality cosmetic enhancement services that our patients deserve. We provide comprehensive treatment planning and follow strict standards that ensure your surgery will go smoothly and provide the results you desire. If you have any questions or concerns, please don’t hesitate to ask. No matter how many hundreds of times he has performed a specific procedure, Dr. Careaga understands that no surgery is routine. Each and every patient is treated as an individual with his or her own aesthetic goals and unique physical characteristics. Dr. Daniel E. Careaga and his staff never take for granted the trust and confidence you have in us. For this reason, a review of your medical history, your current health, your expectations for your surgery or procedure, and your goals and motivations for electing a plastic surgery or cosmetic procedure are all taken into consideration before we will proceed. As a guiding philosophy, Dr. Careaga believes that excellence in performing plastic surgery procedures is derived from his education, advanced training, and experience. Dr. Careaga continually strives to stay current on the latest techniques and standards so he can provide his patients with the safest medical/surgical environment, and the most optimal results. For patients planning to have their aesthetic procedure done here in Miami who don’t live in the area or who aren’t able to come into the office ahead of time, we offer virtual consultations with Dr. Daniel Careaga. We offer each out-of-town patient the opportunity to talk directly with Dr. Careaga as many times as they need in order to feel comfortable with him and the procedure they’ll be undergoing. Fill out the virtual consultation form completely, including your photos and medical information. One of our patient coordinators will contact you within 5 to 10 business days of receiving your information to schedule your phone consultation with Dr. Careaga and give you more information about the process. If you would like to have your procedure as soon as possible, please inform us of this so we can expedite the process. If you have any questions prior to your phone consultation, please let us know and a patient coordinator will contact you as soon as possible. If you decide to book your procedure with us, please have all your preoperative lab work and exams done three weeks prior to your surgery. These can be done where you live. We will schedule an in-office appointment for you with Dr. Careaga the day before your surgery. At this appointment, you can meet him in person, sign all consent forms, and take your before pictures. Dr. Careaga will let you know how long you should plan to stay in town for your recovery based on what surgery you will be having. Here at Careaga Plastic Surgery, we are committed to making our patients feel as comfortable as possible. Please do not hesitate to mention any questions or concerns you may have; we will do everything we can to accommodate you. From informational seminars, newsletters, special events, to our monthly specials, We offer a variety of ways to stay in touch! Don’t forget to ask us about our incentive program and refer a friend rewards program! So be sure to give us your email address and call us if your address and/or phone number changes.